Not to be confused with S. C. Johnson & Son. Johnson & Johnson is headquartered in New Brunswick, New Jersey, the consumer division being located in Skillman, New Jersey. The corporation includes some 250 subsidiary companies with operations in 60 countries and products sold in over 175 countries. Johnson & Johnson had worldwide sales of $70.1 billion during calendar year 2015. Johnson & Johnson's brands include numerous household names of medications and first aid supplies. Among its well-known consumer products are the Band-Aid Brand line of bandages, Tylenol medications, Johnson's baby products, Neutrogena skin and beauty products, Clean & Clear facial wash and Acuvue contact lenses. Johnson & Johnson operates over 250 companies in what is termed "the Johnson & Johnson family of companies". The company operates in three broad divisions; Consumer Healthcare, Medical Devices and Pharmaceuticals. Inspired by a speech by antiseptic advocate Joseph Lister, Robert Wood Johnson joined his brothers James Wood Johnson and Edward Mead Johnson to create a line of ready-to-use surgical dressings in 1885. The company produced its first products in 1886 and incorporated in 1887. Those products already featured a logo resembling the signature of James Wood Johnson, very similar to the logo used today. It is one of the longest-used company logos in the world. 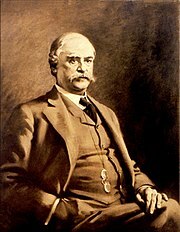 Robert Wood Johnson served as the first president of the company. He worked to improve sanitation practices in the nineteenth century, and lent his name to the Robert Wood Johnson University Hospital in New Brunswick, New Jersey. Upon his death in 1910, he was succeeded in the presidency by his brother James Wood Johnson until 1932, and then by his son, Robert Wood Johnson II. Robert Wood Johnson's granddaughter, Mary Lea Johnson Richards, was the first baby to appear on a Johnson & Johnson baby powder label. His great-grandson, Jamie Johnson, made a documentary called Born Rich about the experience of growing up as the heir to one of the world's greatest fortunes. McNeil Consumer Healthcare was founded on March 16, 1879, by 23-year-old Robert McNeil. In 1904, one of McNeil's sons, Robert Lincoln McNeil, became part of the company, and together they created McNeil Laboratories in 1933. The company focused on direct marketing of prescription drugs to hospitals, pharmacists, and doctors. Development of acetaminophen began under the leadership of Robert L. McNeil, Jr., who later served as the firm's chairman. In 1959, Johnson & Johnson acquired McNeil Laboratories and a year later the company was able to sell Tylenol for the first time ever, without a prescription. In 1977, two subsidiary companies were created: McNeil Medicals Products and McNeil Consumer Products Company (also known as McNeil Consumer Healthcare). The focus of McNeil medicals products is to market prescription drugs. In 1993 McNeil medicals products merged with the Ortho Pharmaceutical to form Ortho-McNeil Pharmaceutical. In 2001 McNeil Consumer Healthcare changed its name to McNeil Consumer & Specialty medicals products. However, it was later changed to "McNeil Consumer Healthcare". The company markets over-the-counter and prescription medicals products including complete lines of Tylenol and Motrin IB (ibuprofen) products for adults and children. In 2008 a Wellness & Prevention Platform was established with the double acquisition of Orlando-based LGE Performance Systems, Inc. and Ann Arbor-based HealthMedia, Inc. In 1933, Swiss chemist Bernhard Joos set up a small research laboratory in Schaffhausen, Switzerland. This set the basis for the founding of Chemische Industrie-Labor AG (Chemical Industry Laboratory AG or Cilag) on 12 May 1936. In 1959, Cilag joined the Johnson & Johnson family of companies. In the early nineties, the marketing organizations of Cilag and Janssen Pharmaceutica were joined to form Janssen-Cilag. The non-marketing activities of both companies still operate under their original name. Cilag continues to have operations under the Cilag name in Switzerland, ranging from research and development through manufacturing and international services. In May 2011 Cilag acquired the over-the-counter operations of J B Chemicals & Pharmaceuticals Limited for around $260 million. In June 2012, the division announced the acquisition of CorImmun GmbH, and its lead compound, COR-1, a small cyclic peptide in development for the treatment of heart failure. In August 2014, Cilag acquired Covagen a biopharmaceutical company which specializes in the development of multi-specific protein-based therapeutics. As part of the acquisition Cilag will gain access to Covagen's lead drug candidate, COVA 322, a bi-specific anti-tumor necrosis factor (TNF)-alpha/anti-interleukin (IL)-17A FynomAb, is in a Phase Ib study for psoriasis. Janssen Pharmaceuticals can be traced back to 1933. In 1933, Constant Janssen, the father of Paul Janssen, acquired the right to distribute the pharmaceutical products of Richter, a Hungarian pharmaceutical company, for Belgium, the Netherlands and Belgian Congo. On 23 October 1934, he founded the N.V. Produkten Richter in Turnhout. After the Second World War, the name for the company products was changed to Eupharma, although the company name Richter would remain until 1956. Paul Janssen founded his own research laboratory in 1953 on the third floor of the building in the Statiestraat, still within the Richter-Eurpharma company of his father. On 5 April 1956, the name of the company was changed to NV Laboratoria Pharmaceutica C. Janssen (named after Constant Janssen). On 2 May 1958, the research department in Beerse became a separate legal entity, the N.V. Research Laboratorium C. Janssen. On 24 October 1961, the company was acquired by the American corporation Johnson & Johnson. On 10 February 1964, the name was changed to Janssen Pharmaceutica N.V. Between 1990 and 2004, Janssen Pharmaceuticals expanded worldwide, with the company growing in size to approximately 28000 employees worldwide. In 1999, clinical research and non-clinical development become a global organization within Johnson & Johnson. In 2001, part of the research activities was transferred to the United States with the reorganization of research activities in the Johnson & Johnson Pharmaceutical Research and Development organization. The research activities of the Janssen Research Foundation and the R.W. Johnson Pharmaceutical Research Institute were merged into the new global research organization. On 27 October 2004, the Paul Janssen Research Center, for discovery research, was inaugurated. In August 2013, the company acquired Aragon Pharmaceuticals, Inc.. In November 2014, the company acquired Alios BioPharma, Inc. for $1.75 billion. As a result of the purchase, Alios was incorporated into the infectious diseases therapeutic area of the Janssen Pharmaceutical Companies of Johnson & Johnson. In March 2015, Janssen licensed Tipofarnib (a farnesyl transferase inhibitor) to Kura Oncology who will assume sole responsibility for developing and commercialising the anti-cancer drug. Later in the same month the company announced that Galapagos Pharma and regained the rights to the anti-inflammatory drug candidate GLPG1690 as well as two other compounds including GLPG1205 (a first-in-class inhibitor of GPR84). Finally, in March, the company acquired XO1 Limited In November 2015, the company acquired Novira Therapeutics, Inc., gaining the lead candidate, NVR 3-778. DePuy was acquired by J&J in 1998, rolling it into the Johnson & Johnson Medical Devices group. In September 2010, Johnson & Johnson announced it had completed the acquisition of Micrus Endovascular, manufacturer of minimally invasive devices for hemorrhagic and ischemic strokes. Micrus will operate under Codman Neurovascular, a business unit of Codman & Shurtleff, Inc.
On June 14, 2012, Johnson and Johnson completed the acquisition of Synthes for $19.7 billion, which was then integrated with the DePuy franchise to establish the DePuy Synthes Companies of Johnson & Johnson which includes; Codman & Shurteff, Inc., DePuy Mitek, Inc., DePuy Orthopaedics, Inc. and DePuy Spine, Inc. In February 2015, DePuy announced it would acquire Olive Medical Corporation. In May 2016, DePuy Orthopaedics, Inc. acquired Biomedical Enterprises, Inc., an industry leader in small bone fixation. Later in December of the same year, DePuy Synthes announced it would acquire Pulsar Vascular Inc., adding Pulsar to its Codman division. In January 2017, the company acquired Interventional Spine, Inc. In April 2017, Irish subsidiary DePuy Ireland Unlimited Company announced it would acquire Neuravi, a company with a portfolio of products for hemorrhagic and ischemic strokes for an undisclosed sum, with Codman Neuro being behind the deal. In June, DePuy Synthes Products, Inc. announced it would acquire Innovative Surgical Solutions, LLC (trading as Sentio, LLC) for an undisclosed sum, bolstering the company's technology for innovative nerve localisation in spinal surgery. Janssen Biotech, Inc., formerly known as Centocor Biotech, Inc., is a biotechnology company that was founded in Philadelphia in 1979. In 1982, Centocor transitioned into a publicly traded company. In 1999, Centocor became a wholly owned subsidiary of Johnson & Johnson. Since the acquisition, Janssen Biotech increased its annual sales from $500 million to more than $2 billion. During the same period, research and development investment increased from $75 million to more than $300 million. In 2008, Centocor, Inc. and Ortho Biotech Inc. merged to form Centocor Ortho Biotech Inc. In June 2009 Johnson & Johnson, through a new wholly owned subsidiary, Kite Merger Sub, Inc., announced it would purchase all outstanding shares of common stock of Cougar Biotechnology, Inc. for $43.00 in cash or around $970 million. In the same year, Johnson & Johnson Nordic AB acquired Amic, developer of in vitro diagnostic, further strengthening the Ortho-Clinical Diagnostics division. In June 2010, Centocor Ortho Biotech acquired RespiVert, a privately held drug discovery company focused on developing small-molecule, inhaled therapies for the treatment of pulmonary diseases. In June 2011, Centocor Ortho Biotech changed its name to Janssen Biotech, Inc. as part of a global effort to unite the Janssen Pharmaceutical Companies around the world under a common identity. In December 2014, the company announced it would co-develop MacroGenics cancer drug candidate (MGD011) which targets both CD19 and CD3 proteins in treating B-cell malignant tumours. This could net MacroGenics up to $700 million. In January 2015, the company announced it will utilise Isis Pharmaceuticals' RNA-targeting technology to discover and develop antisense drugs targeting autoimmune disorders of the gastrointestinal tract, with the partnership potentially generating up to $835 million for Isis. In May 2018, Janssen announced it would acquire BeneVir Biopharm, Inc. for an undisclosed sum. In 1915, George F. Merson opened a facility in Edinburgh for the manufacturing, packaging and sterilizing of catgut, silk and nylon sutures. Johnson & Johnson acquired Mr. Merson's company in 1947, and this was renamed Ethicon Suture Laboratories. In 1953 this became Ethicon Inc. In 1992, Ethicon was restructured, and Ethicon Endo-Surgery, Inc. became a separate corporation. During the 1990s, Ethicon diversified into new and advanced products and technologies and formed four different companies under the Ethicon umbrella, each of which specializes in different products. In 2008 J&J announced it would acquire Mentor Corporation for $1 billion and merge its operations into Ethicon. In the same year, Ethicon acquired Omrix Biopharmaceuticals, Inc. for $25 per share, or $438 million in total. In May 2012 Johnson & Johnson (China) Investment Ltd announced it would acquire surgery blood clotting developer, Guangzhou Bioseal Biotechnology Co., Ltd. In March 2016, J&Js Ethicon business unit announced it would acquire NeuWave Medical, Inc. In January 2017, J&J subsidiary Ethicon announced it would acquire Megadyne Medical Products, Inc., a medical device company that develops, manufactures and markets electrosurgical tools. In February 2017, Ethicon acquired medical device manufacturer, Torax Medical for an undisclosed sum. In June 2018, the business announced that Advanced Sterilization Products would be sold off to Fortive Corporation for around $2.8 billion. In February 2019, Johnson & Johnson announced that Ethicon had agreed to acquire surgical robotic company, Auris Health Inc, for $3.4 billion in cash and over $2.3 billion in contingent payments based on performance. 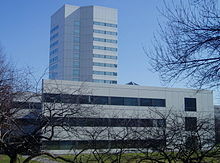 Ethicon Endo-Surgery was part of Ethicon Inc. until 1992, when it became a separate corporate entity under the J&J umbrella. In 2008 Ethicon Endo-Surgery acquired tissue sealing system developer, SurgRx, Inc. In September 2011 the business acquired SterilMed, Inc. In January 2017, J&J fought off competition from Sanofi to acquire Swiss drugmaker Actelion. Later in the month J&J announced a $30 billion deal, the largest ever pursued by the company, to purchase the Swiss company Actelion and to spin off its research and development unit, into a separate legal entity. In March, the company declared its tender offer for Swiss biotechnology company Actelion successful on Friday, reporting that Janssen Holding GmbH controlled 77.2 percent of the voting rights after the main offer period, equating to 83,195,346 Actelion shares. In keeping with earlier agreements, the company announced its intention to delist Actelion, whilst spinning out its drug discovery operations and early-stage clinical development assets into a newly created Swiss-based biopharmaceutical company, Idorsia Ltd. J&J will control 16% of Idorsia, with the ability to raise their stake to 32% through convertible notes. In July 2016, J&J announced its intention to acquire the privately held company, Vogue International LLC, boosting Johnson & Johnson Consumer Inc. In September of the same year, J&J announced it would acquire Abbott Medical Optics from Abbott Laboratories for $4.325 billion, adding the new division into Johnson & Johnson Vision Care, Inc. In July 2017, Johnson & Johnson Vision Care, Inc announced that its Abbott Medical Optics subsidiary would acquire TearScience, who recently received FDA approval for an office-based approach to imaging meibomian glands and treating meibomian gland dysfunction. In September, the company acquired subscription-based contact lens startup Sightbox. In October 2010, J&J acquired Crucell for $2.4 billion and will operate as the centre for vaccines, within the wider Johnson & Johnson pharmaceuticals group. In November 2015, Biosense Webster, Inc. acquired Coherex, Medical Inc. expanding the companies range of treatment options for patients with atrial fibrillation. In March 2018, the company announced that LifeScan, Inc. would be sold off to Platinum Equity for around $2.1 billion In September of the same year Johnson & Johnson Medical GmbH acquired Emerging Implant Technologies GmbH, manufacturer of 3D-printed titanium interbody implants for spinal fusion surgery. For the fiscal year 2017, Johnson & Johnson reported earnings of US$1.3 billion, with an annual revenue of US$76.5 billion, an increase of 6.3% over the previous fiscal cycle. Johnson & Johnson's shares traded at over $126 per share, and its market capitalization was valued at over US$367.5 billion in September 2018. Current members of the board of directors of Johnson & Johnson are: Mary Sue Coleman, James G. Cullen, Dominic Caruso, Michael M.E. Johns, Ann Dibble Jordan, Arnold G. Langbo, Susan L. Lindquist, Leo F. Mullin, William Perez, Steven S. Reinemund, David Satcher, and William C. Weldon. Sandi Peterson has served as Group Worldwide Chairman since 2012. On top of Alex Gorsky and Sandi Peterson, current members of Executive Committees of Johnson & Johnson are: Dominic Caruso (the company's chief financial officer), Peter Fasolo, Paul Stoffels, and Michael Sneed. On July 2, 2018, Johnson & Johnson's head of pharmaceuticals, Joaquin Duato, became the vice chairman of the executive committee. The company has historically been located on the Delaware and Raritan Canal in New Brunswick. The company considered moving its headquarters out of New Brunswick in the 1960s, but decided to stay in the town after city officials promised to gentrify downtown New Brunswick by demolishing old buildings and constructing new ones. While New Brunswick lost many historic structures, including the early home of Rutgers University, and most of its historic commercial waterfront to the redevelopment effort, the gentrification did attract people back to New Brunswick. Johnson & Johnson hired Henry N. Cobb from Pei Cobb Freed & Partners to design an addition to its headquarters. The white tower in a park across the railroad tracks from the older portion of the headquarters in one of tallest buildings in New Brunswick. The stretch of Delaware and Raritan canal by the company's headquarters was replaced by a stretch of Route 18 in the late 1970s, after a lengthy dispute. In 2002, the company released its plan of setting up Asia-Pacific information technology headquarters in New South Wales within five years. The company's business is divided into three major segments, Pharmaceuticals, Medical Devices, and Consumer Products. In 2015, these segments contributed 44.9%, 35.9%, and 19.2%, respectively, of the company's total revenues. The company's major franchises in the Pharmaceutical segment include Immunology, Neuroscience, Infectious Disease, and Oncology. Immunology products include the anti-tumor necrosis factor antibodies Remicade (infliximab), and Simponi (golimumab) used for the treatment of autoimmune diseases, including rheumatoid arthritis, Crohn's disease (Remicade only), ulcerative colitis, ankylosing spondylitis, and other disorders. In 2013, these two products accounted for 29% of Johnson and Johnson's pharmaceutical revenues, and 11.3% of the company's total revenues. A third immunology product, Stelara (ustekinumab), targets interleukin-12 and interleukin-23 and is used for the treatment of psoriasis. Key infectious diseases products include Incivio (telaprevir), a hepatitis C protease inhibitor; Intelence (Etravirine), a non-nucleoside HIV polymerase inhibitor; and Prezista (darunavir), an HIV protease inhibitor. Telaprevir sales are expected to decline due to the recent approval of treatment regimens that are more efficacious and much better tolerated. Etravirine and darunavir are notable for their high barriers to resistance development. Darunavir in combination with HIV polymerase inhibitors is recommended as a first line treatment option for treatment naive persons with HIV infection but etravirine is approved only for use in treatment-experienced patients, owing in part to its requirement for twice-daily dosing. The company's CNS products include the ADHD drug Concerta (methylphenidate extended release), and the long-acting injectable antipsychotics Invega Sustenna (paliperidone palmitate) and Risperdal Consta (risperidone). Invega Sustenna and Risperdal Consta were the first widely utilized long-acting depot injections for the treatment of schizophrenia. Designed to address the issue of poor patient compliance with oral therapy, they are administered by intramuscular injection at intervals of 2 weeks and one month, respectively. Only minimal improvements in outcomes relative to the oral versions of these drugs were observed in the clinical trial setting, but some evidence suggests that the advantages of long-acting injections in clinical practice may be greater than is readily demonstrated in the environment of a clinical trial. Oncology products include Velcade (bortezomib), for the treatment of multiple myeloma and mantle cell lymphoma and Zytiga (abiraterone), an androgen antagonist for the treatment of prostate cancer. In clinical trials, abiraterone treatment was associated with a 4.6 to 5.2 survival advantage when used either before or after chemotherapy with platinum-based drugs. On December 31, 2012, the Food and Drug Administration approved Sirturo (bedaquiline), a Johnson & Johnson tuberculosis drug that is the first new medicine to fight the infection in more than forty years. Telaprevir is a protease inhibitor that was co-developed with Vertex Pharmaceuticals and has been approved for treating hepatitis C.
In March of 2019 the FDA approved esketamine for the treatment of severe depression, which is marketed as Spravato by Janssen Pharmaceuticals. Johnson & Johnson has set several positive goals to keep the company environmentally friendly and was ranked third among the United States's largest companies in Newsweek's "Green Rankings". Some examples are the reduction in water use, waste, and energy use and an increased level of transparency. Johnson & Johnson agreed to change its packaging of plastic bottles used in the manufacturing process, switching their packaging of liquids to non-polycarbonate containers. The corporation is working with the Climate Northwest Initiative and the EPA National Environmental Performance Track program. As a member of the national Green Power Partnership, Johnson & Johnson operates the largest solar power generator in Pennsylvania at its site in Spring House, PA.
On September 29, 1982, a "Tylenol scare" began when the first of seven individuals died in Chicago metropolitan area, after ingesting Extra Strength Tylenol that had been deliberately laced with cyanide. Within a week, the company pulled 31 million bottles of capsules back from retailers, making it one of the first major recalls in American history. The incident led to reforms in the packaging of over-the-counter substances and to federal anti-tampering laws. The case remains unsolved and no suspects have been charged. Johnson & Johnson's quick response, including a nationwide recall, was widely praised by public relations experts and the media and was the gold standard for corporate crisis management. On April 30, 2010, McNeil Consumer Healthcare, a subsidiary of Johnson and Johnson, voluntarily recalled 43 over-the-counter children's medicines, including Tylenol, Tylenol Plus, Motrin, Zyrtec and Benadryl. The recall was conducted after a routine inspection at a manufacturing facility in Fort Washington, Pennsylvania, United States revealed that some "products may not fully meet the required manufacturing specifications". Affected products may contain a "higher concentration of active ingredients" or exhibit other manufacturing defects. Products shipped to Canada, Dominican Republic, Guam, Guatemala, Jamaica, Puerto Rico, Panama, Trinidad and Tobago, the United Arab Emirates, Kuwait and Fiji were included in the recall. In a statement, Johnson & Johnson said "a comprehensive quality assessment across its manufacturing operations" was underway. A dedicated website was established by the company listing affected products and other consumer information. On August 24, 2010, DePuy, a subsidiary of American giant Johnson & Johnson, recalled its ASR (articular surface replacement) hip prostheses from the market. DePuy said the recall was due to unpublished National Joint Registry data showing a 12% revision rate for resurfacing at five years and an ASR XL revision rate of 13%. All hip prostheses fail in some patients, but it is expected that the rate will be about 1% a year. Pathologically, the failing prosthesis had several effects. Metal debris from wear of the implant led to a reaction that destroyed the soft tissues surrounding the joint, leaving some patients with long term disability. Ions of cobalt and chromium—the metals from which the implant was made—were also released into the blood and cerebral spinal fluid in some patients. In March 2013, a jury in Los Angeles ordered Johnson & Johnson to pay more than $8.3 million in damages to a Montana man in the first of more than 10,000 lawsuits pending against the company in connection with the now-recalled DePuy hip. Some lawyers and industry analysts have estimated that the suits ultimately will cost Johnson & Johnson billions of dollars to resolve. In 2010 and 2011, Johnson & Johnson voluntarily recalled some over-the-counter products including Tylenol due to an odor caused by tribromoanisole. In this case, 2,4,6-tribromophenol was used to treat wooden pallets on which product packaging materials were transported and stored. In 2010 a group of shareholders sued the board for allegedly failing to take action to prevent serious failings and illegalities since the 1990s, including manufacturing problems, bribing officials, covering up adverse effects and misleading marketing for unapproved uses. The judge initially dismissed the case in September 2011, but allowed the plaintiffs opportunity to refile at a later time. In 2012 Johnson and Johnson proposed a settlement with the shareholders, whereby the company would institute new oversight, quality and compliance procedures binding for five years. Juries in several US states have found J&J guilty of concealing the adverse effects of Janssen Pharmaceuticals' antipsychotic medication Risperdal, produced by its unit, in order to promote it to doctors and patients as better than cheaper generics, and of falsely marketing it for treating patients with dementia. States that have awarded damages include Texas ($158 million), South Carolina ($327 million), Louisiana ($258 million), and most notably Arkansas ($1.2 billion). In 2010, the United States Department of Justice joined a whistleblowers suit accusing the company of illegally marketing Risperdal through Omnicare, the largest company supplying pharmaceuticals to nursing homes. The allegations include that J&J were warned by the U.S. Food and Drug Administration (FDA) not to promote Risperdal as effective and safe for elderly patients, but they did so, and that they paid Omnicare to promote the drug to care home physicians. The settlement was finalized on November 4, 2013, with J&J agreeing to pay a penalty of around $2.2 billion, "including criminal fines and forfeiture totaling $485 million and civil settlements with the federal government and states totaling $1.72 billion". Johnson & Johnson has also been subject to congressional investigations related to payments given to psychiatrists to promote its products and ghost write articles, notably Joseph Biederman and his pediatric bipolar disorder research unit. In 2011, J&J settled litigation brought by the US Securities and Exchange Commission under the Foreign Corrupt Practices Act and paid around $70M in disgorgement and fines. J&J's employees had given kickbacks and bribes to doctors in Greece, Poland, and Romania to obtain business selling drugs and medical devices and had bribed officials in Iraq to win contracts under the Oil for Food program. J&J fully cooperated with the investigation once the problems came to light. In May 2017, J&J reached an agreement to pay $33 million to several states to settle consumer fraud allegations in some of the company's over-the-counter drugs. Johnson & Johnson registered the Red Cross as a U.S. trademark for "medicinal and surgical plasters" in 1905 and has used the design since 1887. The Geneva Conventions, which reserved the Red Cross emblem for specific uses, were first approved in 1864 and ratified by the United States in 1882. However, the emblem was not protected by U.S. law for the use of the American Red Cross and the U.S. military until after Johnson & Johnson had obtained its trademark. A clause in this law (now 18 U.S.C. 706) permits this pre-existing uses of the Red Cross to continue. A declaration made by the U.S. upon its ratification of the 1949 Geneva Conventions includes a reservation that pre-1905 U.S. domestic uses of the Red Cross, such as Johnson & Johnson's, would remain lawful as long as the cross is not used on "aircraft, vessels, vehicles, buildings or other structures, or upon the ground," i.e., uses which could be confused with its military uses. This means that the U.S. did not agree to any interpretation of the 1949 Geneva Conventions that would overrule Johnson & Johnson's trademark. The American Red Cross continues to recognize the validity of Johnson & Johnson's trademark. In August 2007, Johnson & Johnson filed a lawsuit against the American Red Cross (ARC), demanding that the charity halt the use of the red cross symbol on products it sells to the public, though the company takes no issue with the charity's use of the mark for non-profit purposes. In May 2008, the judge in the case dismissed most of Johnson & Johnson's claims, and a month later the two organizations announced a settlement had been reached in which both parties would continue to use the symbol. Since 2003, Johnson & Johnson and Boston Scientific have both claimed that the other had infringed on their patents covering heart stent medical devices. The litigation was settled when Boston Scientific agreed to pay $716 million to Johnson & Johnson in September 2009 and an additional $1.73 billion in February 2010. Their dispute was renewed in 2014, now on the grounds of a contract dispute. In 2007, Johnson & Johnson sued Abbott Laboratories over the development and sale of the arthritis drug Humira. Johnson & Johnson claimed that Abbott used technology patented by New York University and licensed exclusively to Johnson & Johnson's Centocor division to develop Humira. Johnson & Johnson won the court case, and in 2009 Abbott was ordered to pay Johnson & Johnson $1.17 billion in lost revenues and $504 million in royalties. The judge also added $175.6 million in interest to bring the total to $1.84 billion. This was the largest patent-infringement award in U.S. history until the 2013 decision against Teva in favor of Takeda and Pfizer for over 2.1 billion dollars. In 2010 Abbott appealed the verdict and in 2011 won the appeal. Tens of thousands of women worldwide have taken legal action against Johnson & Johnson after suffering serious complications following a vaginal mesh implant procedure. In 2016 the U.S. states of California and Washington filed a lawsuit against the company, accusing it of deception. More than 700 women began a class action against the company in the Federal Court of Australia in 2017, telling the court they "suffered irreparable, debilitating pain after the devices began to erode into surrounding tissue and organs, causing infections and complications". The class action alleged that Johnson & Johnson, which "aggressively marketed" the implants "failed to properly warn patients and surgeons of the risk, or test the devices adequately". Emails between executives show the company was aware of the risks in 2005 but still went ahead and made the product available. In February 2016, J&J was ordered to pay $72 million in damages to the family of Jacqueline Fox, a 62-year-old woman who died of ovarian cancer in 2015: the company said it would appeal. By March 2017, over 1,000 U.S. women had sued J&J for covering up the possible cancer risk from its Baby Powder product; the company says that 70 percent of its Baby Powder is used by adults. In August 2017, a California jury ordered Johnson & Johnson to pay $417 million to a woman who claimed she developed ovarian cancer after using the company's talc-based products like Johnson's Baby Powder for feminine hygiene. The verdict included $70 million in compensatory damages and $347 million in punitive damages. J&J said they will appeal the verdict. In October 2017, the Missouri Eastern District appeals court on Tuesday threw out a $72 million jury verdict. The appeals court ruled 3-0 that Jacqueline Fox's lawsuit lacked jurisdiction in Missouri because of a U.S. Supreme Court decision that imposed limits on where injury lawsuit can be filed which lawsuit's jurisdiction requires a stronger connection between the forum state and a plaintiff's claims. Fox, 62, of Birmingham, Ala., died in 2015, about four months before her trial was held in St. Louis Circuit Court. She was among 65 plaintiffs, of whom only two were from Missouri. Subsequently, it also would kill three other recent St. Louis jury verdicts of more than $200 million combined. In July 2018, a St. Louis jury awarded nearly US$4.7 billion in damages to 22 women and their families after they claimed asbestos in Johnson & Johnson talcum powder caused their ovarian cancer. In August 2018, Johnson & Johnson said that it removed several chemicals from baby powder products and re-engineered them to make consumers more confident that products were safer for children. In December 2018, with 11,700 people suing Johnson & Johnson over cancers allegedly caused by baby powder, the company was forced to release internal documents. The documents showed that the company had known about asbestos contamination since at least as early as 1971 and had spent decades finding ways to conceal the evidence from the public. On December 19, the company lost its request to reverse a jury verdict that ruled in favor of the accusers, which required the company to pay $4.14 billion in punitive damages and $550 million in compensatory damages. By 2018, the company had become embroiled in the opioid epidemic in the United States and had become a target of lawsuits. Over 500 opioid-related cases have been filed as of May 2018 against Johnson & Johnson and its competitors. In Idaho, Johnson & Johnson is part of a lawsuit accusing the company for being partially to blame for opioid-related overdose deaths. Guangzhou Bioseal Biotechnology Co., Ltd.
Frederick Barnett Kilmer – Director of Scientific Laboratories from 1889 to 1934. Zodiac – Historic schooner built for the Johnson family heirs. ^ "Johnson & Johnson 2015 Annual Report" (PDF). www.jnj.com. February 24, 2016. Archived from the original (PDF) on April 18, 2016. Retrieved September 28, 2016. ^ "A Sign of the Times: The Story Behind Johnson & Johnson's Iconic Logo - Johnson & Johnson". www.jnj.com. ^ Horner, Shirley (February 15, 1987). "About Books". The New York Times. Retrieved May 7, 2010. ^ Conniff, Richard (October 17, 2003). The Natural History of the Rich: A Field Guide. W. W. Norton. p. 126. ISBN 9780393324884. ^ "15 years after 11 uber-wealthy heirs appeared in the controversial documentary 'Born Rich," here's where they are — from the White House to the Amazon". Retrieved August 25, 2018. ^ Singer, Natasha (June 3, 2010). "Robert L. McNeil Jr., Chemist Who Introduced Tylenol, Dies at 94". The New York Times. Retrieved June 4, 2010. ^ "Johnson & Johnson Strengthens Wellness & Prevention Platform with Acquisition of Human Performance Institute". BioSpace. ^ "Johnson & Johnson (JOBS) Establishes Wellness & Prevention Platform with Acquisition of HealthMedia, Inc". BioSpace. ^ "Johnson & Johnson to Buy JB Chemicals & Pharmaceuticals Limited's Russian Brands for About $260 Million". BioSpace. ^ "Janssen-Cilag AG Acquires CorImmun". BioSpace. ^ Lopez-Munoz, Francisco; Alamo, Cecilio (2009). "The Consolidation of Neuroleptic Therapy: Janssen, the Discovery of Haloperidol and Its Introduction into Clinical Practice". Brain Research Bulletin. 79 (2): 130–141. doi:10.1016/j.brainresbull.2009.01.005. PMID 19186209. ^ "Johnson & Johnson Announces Completion Of Alios Biopharma Acquisition". Janssen. Archived from the original on February 7, 2016. ^ "GEN - News Highlights:Kura Oncology Licenses Janssen's Tipofarnib in Cancer". GEN.
^ "GEN - News Highlights:Galapagos Regains Rights to GLPG1690 from Janssen". GEN.
^ "Janssen Acquires XO1 Limited". Janssen. Archived from the original on February 6, 2016. ^ "Johnson & Johnson Announces Agreement To Acquire Novira Therapeutics, Inc". Janssen. Archived from the original on February 7, 2016. Retrieved February 6, 2016. ^ "Johnson & Johnson Completes Acquisition of Micrus Endovascular Corporation". BioSpace. ^ "Depuy Synthes Companies Acquires Olive Medical Corporation - Johnson & Johnson". ^ "DePuy Synthes Companies Announces Acquisition Of Biomedical Enterprises, Inc., A Leader In Small Bone Fixation - Johnson & Johnson". ^ "Codman Neuro Announces Acquisition Of Pulsar Vascular Inc., Expanding Neurovascular Treatment For Patients With Complex Aneurysms - Johnson & Johnson". ^ "Johnson & Johnson's DePuy Synthes Buys Technology From Interventional Spine for Undisclosed Sum". BioSpace. ^ Ltd, Insider Media. "Johnson & Johnson moves for Irish medical firm". ^ "Johnson & Johnson buys Irish stroke care firm in multimillion euro deal". ^ "DePuy Synthes Announces Acquisition of Sentio, LLC to Enable Innovation in Minimally Invasive Spine Surgery". www.jnj.com. ^ "Johnson & Johnson (JOBS) to Acquire Cougar Biotechnology, Inc. for About $970 Million". BioSpace. ^ "Johnson & Johnson Begins Tender Offer to Acquire Cougar Biotechnology, Inc". BioSpace. ^ "Johnson & Johnson Nordic AB Acquires Amic Gains Access to In Vitro Diagnostic Technologies in Development for Use in Point-of-Care Settings". BioSpace. ^ "Janssen Joins MacroGenics in Up-to-$700M Cancer Collaboration". GEN.
^ "Janssen, Isis Pharma Ink Up-to-$835M Antisense Agreement". GEN.
^ "Janssen to Acquire BeneVir Biopharm to Advance Immunotherapy Regimens". Content Lab - U.S.
^ "ETHICON History". www.ethiconproducts.co.uk. Archived from the original on January 10, 2016. Retrieved January 25, 2016. ^ "A history of advancing surgery". www.ethicon.com. Ethicon U.S., LLC. Retrieved January 25, 2016. ^ "Johnson & Johnson Announces Definitive Agreement to Acquire Mentor Corporation". Archived from the original on December 13, 2018. Retrieved February 3, 2019. ^ "Johnson & Johnson Announces Receipt of Israeli Antitrust Approval for Acquisition of Omrix Biopharmaceuticals, Inc". BioSpace. ^ "Johnson & Johnson (JOBS) Acquire Omrix Biopharmaceuticals, Inc. for $438 Million". BioSpace. ^ "Johnson & Johnson Acquires Medical Device Maker in China". BioSpace. ^ "Ethicon Announces Agreement To Acquire NeuWave Medical, Inc". FierceMedicalDevices. Archived from the original on March 11, 2016. ^ "Ethicon Announces Acquisition of Megadyne Medical Products, Inc. - Johnson & Johnson". ^ "Johnson & Johnson subsidiary buys Torax Medical". ^ "Johnson & Johnson Announces Binding Offer from Fortive Corporation to Acquire Advanced Sterilization Products (ASP)". Content Lab - U.S.
^ "Ethicon Endo-Surgery, Inc. Completes Acquisition of SurgRx, Inc". BioSpace. ^ "Ethicon Endo-Surgery, Inc. to Acquire SterilMed". BioSpace. ^ a b Johnson, Linda A. (January 24, 2018). "Johnson & Johnson Loses $10.7 B After Sweeping U.S. Tax Changes". Drug Discovery & Development Magazine. Associated Press. Retrieved January 24, 2018. ^ "Johnson & Johnson to buy Actelion for $30 billion, spin off R&D unit". Reuters. January 26, 2017. Retrieved January 26, 2017. ^ "BRIEF-Johnson & Johnson says Janssen Holding to acquire all publicly held shares of Actelion for $280 per share". March 31, 2017 – via Reuters. ^ "J&J declares Actelion tender offer a success, sees closing in second quarter". March 31, 2017 – via Reuters. ^ "Johnson & Johnson (JNJ) Declares $30B Actelion Tender Successful; Controls 77.% of Voting Rights". ^ "Johnson & Johnson Announces Completion of Acquisition of Vogue International LLC - Johnson & Johnson". ^ "Johnson & Johnson Announces Agreement to Acquire Abbott Medical Optics - Johnson & Johnson". ^ "Johnson & Johnson Vision to acquire TearScience". www.healio.com. ^ "Johnson & Johnson acquires subscription-based contact lens startup Sightbox". September 19, 2017. ^ Eva von Schaper; Ellen Gibson (October 6, 2010). "J&J, Crucell Reach Agreement on $2.4 Billion Takeover". Bloomberg.com. ^ "Johnson & Johnson Completes Tender Offer for Crucell N.V. and Declares Offer Unconditional". BioSpace. ^ "Biosense Webster, Inc. Announces Acquisition of Coherex Medical, Inc. - Johnson & Johnson". ^ "Johnson & Johnson Announces Binding Offer from Platinum Equity to Acquire LifeScan, Inc". Content Lab - U.S.
^ "Johnson & Johnson Medical GmbH Acquires Emerging Implant Technologies GmbH to Enhance Global Offering of Interbody Spine Implants". BioSpace. ^ "Johnson & Johnson Revenue 2006–2018 | JNJ". www.macrotrends.net. Retrieved October 28, 2018. ^ "Johnson & Johnson - Mitarbeiter bis 2017 | Statistik". Statista (in German). Retrieved December 9, 2018. ^ "Board of Directors". jnj.com. Archived from the original on October 31, 2005. ^ Palmer, Eric. "Johnson & Johnson shakeup leaves Joaquin Duato with largest portfolio". FiercePharma. Retrieved July 4, 2018. ^ "JOHNSON & JOHNSON ASIA-PACIFIC INFORMATION TECHNOLOGY HEADQUARTERS". March 14, 2002. Archived from the original on May 30, 2013. Retrieved July 15, 2013. ^ Ruela Corrêa JC, D'Arcy DM, dos Reis Serra CH, Nunes Salgado HR (2012). "Darunavir: a critical review of its properties, use and drug interactions". Pharmacology. 90 (1–2): 102–9. doi:10.1159/000339862. PMID 22797653. ^ "Wikipedia template filling". Tools.wmflabs.org. Retrieved May 29, 2014. ^ Kaplan G, Casoy J, Zummo J (2013). "Impact of long-acting injectable antipsychotics on medication adherence and clinical, functional, and economic outcomes of schizophrenia". Patient Prefer Adherence. 7: 1171–80. doi:10.2147/PPA.S53795. PMC 3833623. PMID 24265549. ^ Kane JM, Kishimoto T, Correll CU (August 2013). "Assessing the comparative effectiveness of long-acting injectable vs. oral antipsychotic medications in the prevention of relapse provides a case study in comparative effectiveness research in psychiatry". J Clin Epidemiol. 66 (8 Suppl): S37–41. doi:10.1016/j.jclinepi.2013.01.012. PMC 3742035. PMID 23849151. ^ Fusar-Poli P, Kempton MJ, Rosenheck RA (March 2013). "Efficacy and safety of second-generation long-acting injections in schizophrenia: a meta-analysis of randomized-controlled trials". Int Clin Psychopharmacol. 28 (2): 57–66. doi:10.1097/YIC.0b013e32835b091f. PMID 23165366. ^ "FDA Approves 1st New Tuberculosis Drug in 40 Years". ABC News. Retrieved December 31, 2012. ^ "Healthcare products - Medical technologies". jnj.com. Retrieved March 13, 2015. ^ "Healthcare products - consumer". jnj.com. Retrieved March 13, 2015. ^ "Green Rankings". Archived from the original on October 10, 2009. ^ "Johnson & Johnson Official Site". Archived from the original on May 2, 2008. Retrieved May 4, 2008. ^ "Coop America". March 27, 2008. Archived from the original on April 26, 2008. Retrieved May 4, 2008. ^ "Department of Environmental Protection". Commonwealth of Pennsylvania. ^ a b Judith Rehak (March 23, 2002). "Tylenol made a hero of Johnson & Johnson : The recall that started them all". The New York Times. ^ a b c "US firm recalls children's drugs". Aljazeera. May 1, 2010. Retrieved May 3, 2010. ^ a b c d Watts, Alex (May 2, 2010). "Warning As Baby Medicines Are Recalled". Sky News. Retrieved May 3, 2010. ^ Deborah Cohen (May 14, 2011). "Out of joint: The story of the ASR". ^ "FDA. Concerns about metal-on-metal hip implant systems. 2011". 2011. ^ a b Meier, Barry (March 8, 2013). "J.&J. Loses First Case Over Faulty Hip Implant". New York Times. Retrieved September 4, 2013. ^ "McNeil Consumer Healthcare Announces Voluntary Recall Of One Product Lot Of TYLENOL® Extra Strength Caplets 225 Count Distributed In The U.S."
^ "10-cv-2033, D. NJ., Sept. 29, 2011" (PDF). ^ Gregory Wallace (November 4, 2013). "Johnson & Johnson to pay $2 billion for false marketing". CNN Money. Retrieved November 6, 2013. ^ Singer, Natasha (January 15, 2010). "Johnson & Johnson Accused of Drug Kickbacks". The New York Times. Retrieved January 17, 2010. ^ Office of Public Affairs, Department of Justice (November 4, 2015). "Johnson & Johnson to Pay More Than $2.2 Billion to Resolve Criminal and Civil Investigations". United States Department of Justice. Retrieved June 16, 2015. ^ "Johnson & Johnson". www.sec.gov. Retrieved July 5, 2017. ^ "J&J settles U.S., UK bribery, kickback charges". Reuters. April 8, 2011. Retrieved July 5, 2017. ^ "SEC Charges Johnson & Johnson With Foreign Bribery". SEC. April 7, 2011. ^ "J&J Reaches $33 Million Settlement with States". DrugWatch. Retrieved July 5, 2017. ^ "UPDATE 1-J&J settles drug manufacturing probe by U.S. states for $33 mln". Business Insider. Retrieved July 5, 2017. ^ "Trademark Status & Document Retrieval". uspto.gov. ^ Saul, Stephanie (June 18, 2008). "Claim Over Red Cross Symbol Is Settled". The New York Times. ^ "abbott-wins-reversal-of-j-j-s-1-67-billion-patent-victory". Bloomberg.com. Archived from the original on May 6, 2011. ^ a b "States file lawsuit against Johnson & Johnson over pelvic mesh implants". ^ Knaus, Christopher (July 4, 2017). "Vaginal mesh risks downplayed by Johnson & Johnson, court told". the Guardian. ^ "Johnson & Johnson hit with $72m damages in talc-cancer case". BBC News. February 24, 2016. Retrieved February 24, 2016. ^ Johnson & Johnson Has a Baby Powder Problem Bloomberg, Retrieved April 20, 2017. ^ "J&J ordered to pay $417 million in trial over talc cancer risks". August 21, 2017 – via Reuters. ^ Currier, Joel. "Missouri appeals court tosses out $72 million Johnson & Johnson talcum powder verdict". ^ Bever, Lindsey (July 13, 2018). "Johnson & Johnson ordered to pay $4.7 billion to women who say baby powder gave them cancer". Washington Post. Retrieved July 28, 2018. ^ "Johnson and Johnson removes chemicals to make products safer". Retrieved August 25, 2018. ^ "Johnson & Johnson knew for decades that asbestos lurked in some of its baby powder". NBC News. ^ Scipioni, Jade (December 19, 2018). "J&J loses its battle to overturn a $4.7B baby powder verdict". FOXBusiness. Retrieved December 19, 2018. ^ Gurman, Sadie; Mulvihill, Geoff (March 2, 2018). "DOJ to Support Lawsuits Against Companies Selling Opioids". Drug Discovery & Development. Advantage Business Media. Associated Press. Retrieved March 2, 2018. ^ "Johnson & Johnson acted as opioid kingpin, Oklahoma attorney general says". CNN. March 12, 2019. Retrieved March 14, 2019. ^ "Trump Insurance For Johnson & Johnson". Retrieved August 25, 2018. ^ "11 Idaho counties take on Walmart, CVS, drug companies in opioid lawsuit". Retrieved August 25, 2018. ^ "Johnson & Johnson (Jobs) Acquires Beijing Firm Dabao for 2.3 Billion Yuan". BioSpace. ^ "Johnson & Johnson Consumer France SAS To Acquire Groupe Vendome SA". BioSpace. ^ "Johnson & Johnson Wins Pfizer Inc. Consumer Health Unit For $16.6 Billion". BioSpace. ^ Johnson, Johnson &. "Johnson & Johnson Consumer Inc. to Acquire NeoStrata Company, Inc., a Leader in Dermocosmetics". www.prnewswire.com. ^ "Johnson & Johnson Consumer Inc. Announces Agreement to Acquire Zarbee's, Inc., a Leader in Naturally-Based Healthcare Products". Content Lab - U.S.
^ Tse, Andrea (January 25, 2010). "Can Johnson & Johnson Heal Itself?". ^ Companies, Johnson & Johnson Medical Devices. "Johnson & Johnson Medical Devices Companies Acquire Orthotaxy to Develop Next-Generation Robotic-Assisted Surgery Platform in Orthopaedics". www.prnewswire.com. ^ Companies, Johnson & Johnson Medical Devices. "Johnson & Johnson Medical GmbH to Acquire Surgical Process Institute". www.prnewswire.com. ^ Johnson, Johnson &. "Ethicon Announces Acquisition of Megadyne Medical Products, Inc". www.prnewswire.com. ^ "Johnson & Johnson Announces Acceptance of Binding OfferFrom Platinum Equity To Acquire LifeScan, Inc". Content Lab - U.S.
Wikimedia Commons has media related to Johnson & Johnson.